Grand Bay and its surroundings also offer a large choice of fashion and craft shops, hotels and restaurants. You can find in Grand Bay traditional local shops, some operating for almost 50 years, alongside modern shopping centers and worldwide brand shops. Considering the variety of shops and shopping complexes, Grand Bay is definitely a top shopping destination for clothes, jewelry, textiles and for souvenirs. Grand Bay is also known for its night-life as it hosts most of the island best bars and night-clubs, including Banana Café, Zanzibar, Les Enfants Terribles and the famous Buddha Bar. For the night owls, the Grand Bay night clubs are the place to be, where parties pick up, generally at around midnight and parties last till the early morning hours. Grand Bay is found in the district of Rivière du Rempart at the Northern western part of the Island along a beautiful natural bay. Grand Bay is situated about 25 km north of Port Louis the Capital of Mauritius. It is found between the village of Pereybere (from the east) and Trou aux Biches (from the west). The drive from Grand Bay to Port Louis takes about 30 minutes, while the drive to the airport takes about 1 hour and 30 minutes. 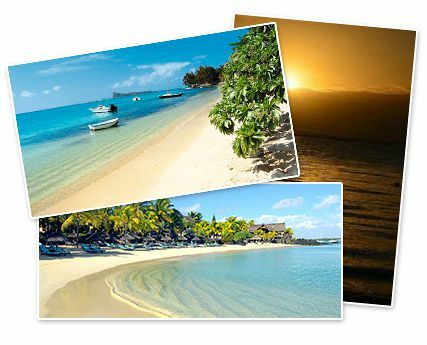 Grand Bay has a good bus route leading to key locations in Mauritius. You can easily get the bus to Port Louis or to other cities such as Triolet, Goodlands, Grand Gaube and can easily venture further across the island. The wind is generally offshore, and together with the beaches and lagoons which are sheltered by the winds, Grand Bay and the northern region are recommendable for a great holiday year around. In summer, (November to March) the North and especially Grand Bay can get very hot and humid where a T-Shirt is the only thing you can wear. When visiting Grand Bay, you are sure to have plenty to do. 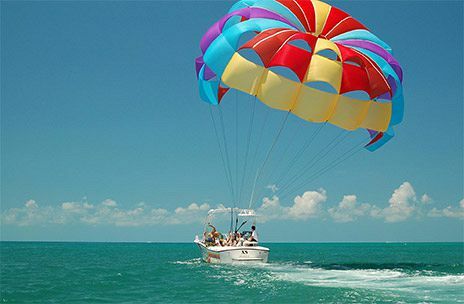 Besides lying on the beach and soaking in the sun, you will find facilities for safe swimming, sailing, windsurfing, parasailing and enjoying many water sports. Also, the Grand Bay region is great place to discover the breathtaking underwater marine life of Mauritius going for one of the Underwater Adventures such as the Underwater Sea Walk, Submarine excursion and the Underwater Scooter. For divers, there are plenty of diving sites to be discovered, all found along the coral reefs, within few km from the beach. For those who want to cruise around the Bay, there are plenty of choices. 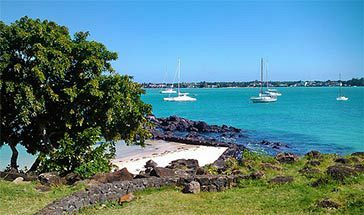 Grand Bay is the departure point for deep sea fishing trips and for boat excursions to the islands to the north of Mauritius: Gunners' Quoin, Flat Island, Gabriel Island, Round Island, and Serpent Island. 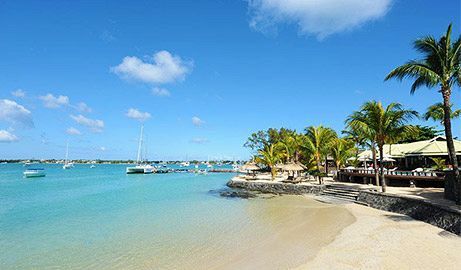 Grand Bay, as the top holiday destination in Mauritius, offers variety of hotels, guesthouses and private apartments and villas. There are many places to stay in and around Grand Bay, including hotels, guest houses and villas that range from deluxe resorts to rooms to let. For those who are looking to purchase property, this area has much to offer. There are existing houses and villas that are available, and several new developments are also under construction or have been recently finished. The public beach of La Cuvette is very close to the center of Grand Bay. The beach is situated near the Royal Palm hotel and you can reach it when heading from Grand Bay center to Pereybere. The beach is quite small and intimate. The water is very calm and the beach is clear of rocks and corals. It is very nice to walk from the beach along the coast until reaching the center of Grand Bay. The Grand Bay public beach is situated at the very center of Grand Bay and it is impossible to miss. Due to the very active boat and catamaran traffic inside the bay, the public beach has only a small area in which you can enter the water. The Northern region, consisting also of the district of Rivière du Rempart is known as the "Northern Plains" for it is generally flat, with very few hills. The main attraction of the northern region is the beautiful lagoons and the white sand beaches. Apart from the Grand bay area itself, the seaside of the North is rich in colours and variety where you can see all shades of blue. The sea surface inside the lagoons is often covered with soft sand, with an unmatched transparency. Some of the beaches also have corals scattered along the beach, so make sure to not step on one. , it is always advised to watch out for corals The view of the lagoons fading from green to blue, delimited by the white surf of the coral reefs, topped by the deep blue of the open sea is simply breathtaking.